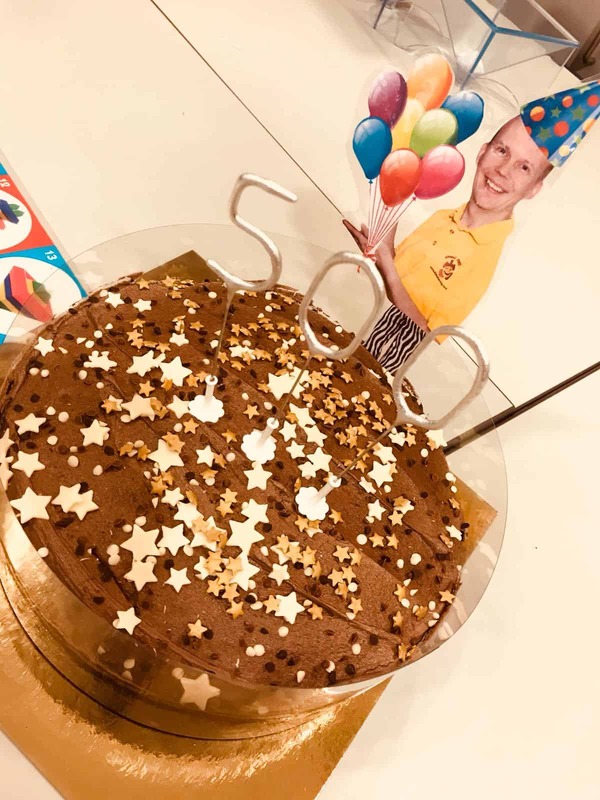 On 12th June 2018, I visited Princess Royal University Hospital (PRUH), in Bromley, for my 500th POD session. POD Childrens Charity is a nationwide charity which organizes entertainment for children in hospital. They help to alleviate the trauma of a hospital stay by sowing the seeds of fun, laughter and feeling better. 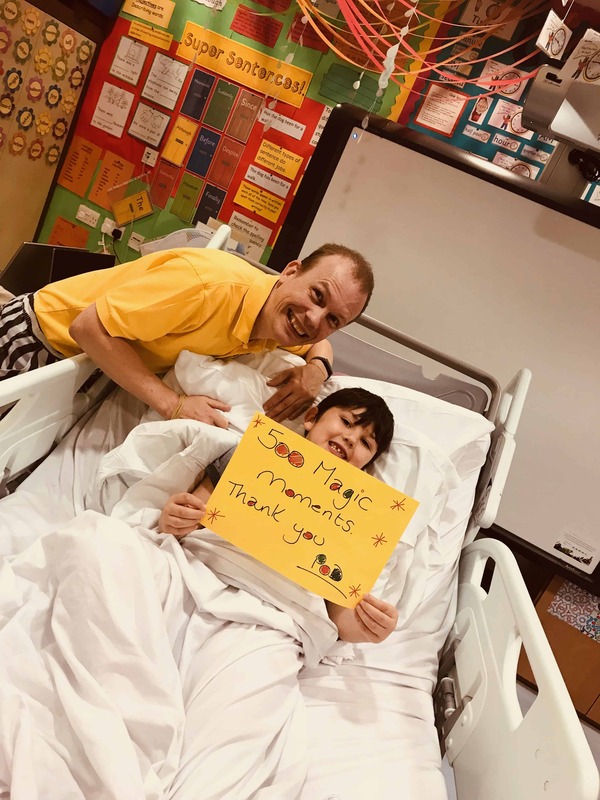 POD magicians, puppeteers, musicians and clowns create smiles, happiness and bring joy to the lives of children in hospital. This is now recognised to be of crucial value to these children. They give monthly shows in over 175 hospitals and hospices throughout the UK. I started performing POD shows back in March of 2011, and seven years later I have now completed my 500th session, entertaining thousands of children along the way. 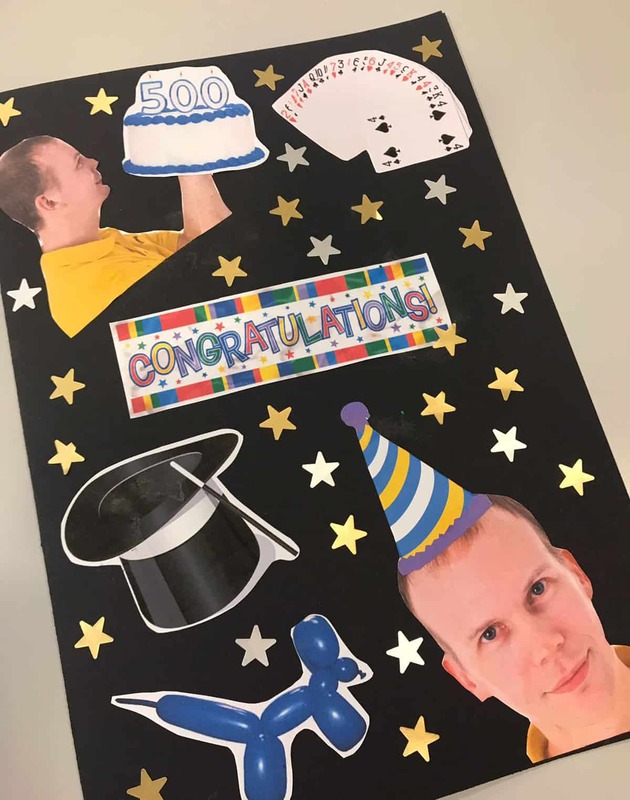 To celebrate, we had cake (lots of cake), and the wonderful support staff at PRUH presented me with a lovely, hand-crafted card, expressing their thanks to both POD and myself. I would like to thank all of the teachers, nurses and play specialists that I work with at the PRUH for making my visits so much fun. I made a short video of the event so you get an idea of how POD helps Children in Hospital. 1: Why did you join POD? I had a couple of friends who were performing POD shows in the North London area, and it sounded like such a good cause I wanted to get involved. I asked them to recommend me to Margaret, who runs the charity and then thought no more about it. A few months later, she contacted me and asked me if I would like to do one for them, at which she would be attending, which added to the pressure. Luckily, she loved what I did, and we found that working for POD was a great fit for both of us. 2: What is it about the sessions you love? 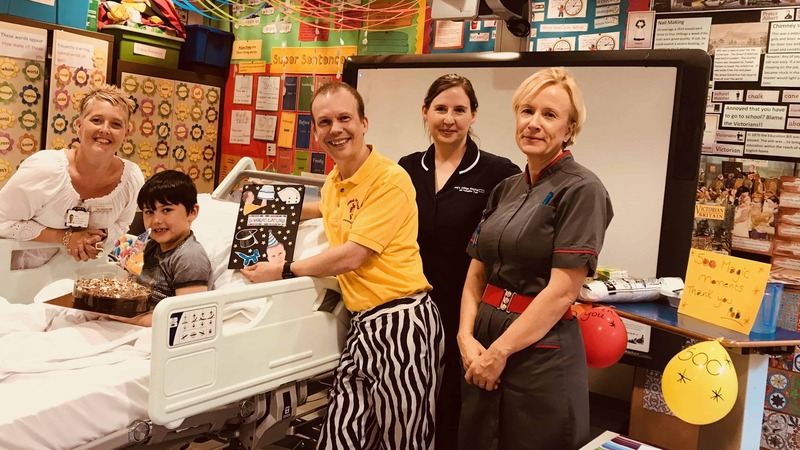 I love the fact that I have the power to help a child who really doesn’t want to be in hospital, and is more than likely in a great deal of pain, and let them forget all about their reasons for being there and give them an experience that ultimately lifts their spirits. I have lost count of the number of times a play specialist, nurse, or teacher, has told me that they hadn’t managed to get any reaction or response from a particular child, and yet within minutes I had them talking, interacting and laughing, if only for a few minutes. I know how much that helps them, and one of the reasons why I love performing in hospitals. 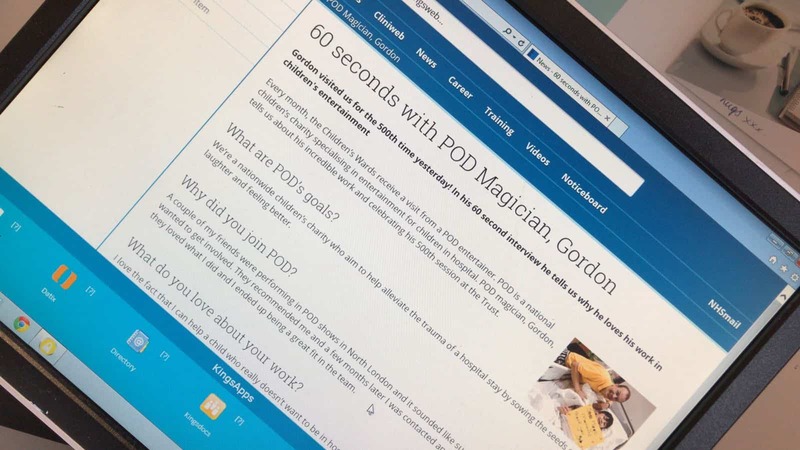 PODs work is so important, and I look forward to my sessions every month. 3: Your favourite magical effect? This is the one that makes a child respond, and different age groups will respond to different performances. 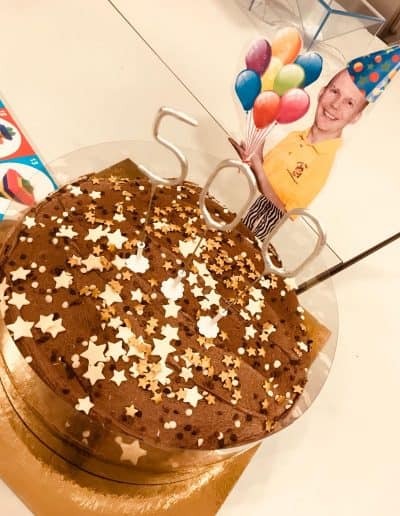 Personally, my favourite effect is when we magically create a rubber band star, and the child gets to keep it, along with the wish they make upon that star. I love seeing their eyes light up when the magic happens, and know that they will probably treasure that star for a long time to come. The play specialists get to see the same effects over and over again, but they react as if it’s the first time ever so as not to spoil the magic for the children. Finding the right effects for each child is the difficult bit, but with experience ,I have learnt what works well and what to steer clear of. 4. 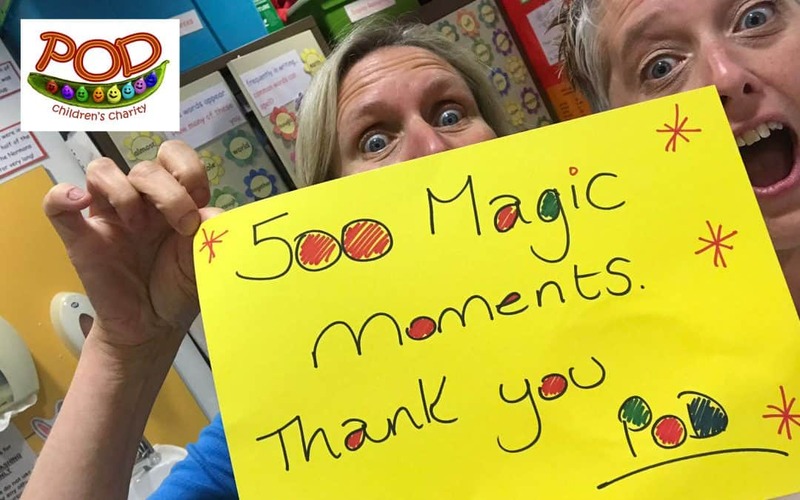 How does it feel to have made a difference to children and young people in hospital 500 times? I’ll be honest, I found it difficult in the beginning, as I had no idea what to expect. Everything is backwards to a normal show – for example I would normally begin a show by asking everyone how they were, well that’s not a great opening in a hospital – and then at the end I say goodbye, see you next time, which is the last thing I want in hospital, I want them to get better and go home. Even now I sometimes find myself in a situation that makes me wish I could do more for the children, and take away their pain. 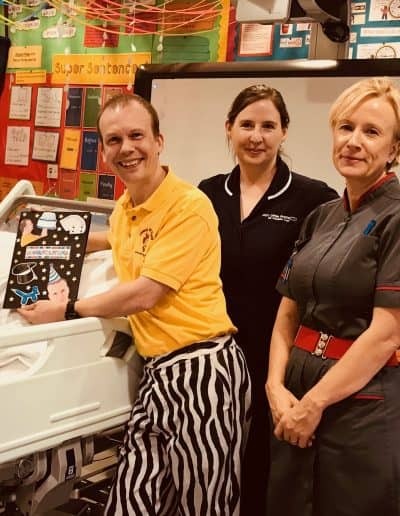 I also found that I have to be versatile – being able to entertain a dozen children at a time, or performing individually at the bedside, ready to step aside if a situation arises that needs dealing with urgently. I feel blessed that I am in a position to be able to do what I do. Knowing that I have made someone’s day is just awesome. My aim is to leave every child that I entertain, in a better state of mind than before I arrived, and with a smile on their face, and POD gives me the ability to do this. I remember one occasion where a mum had written to POD to thank them. She had come into hospital with her daughter and they were having a pretty rough time. She said that she would never have believed that a magician would have lifted them at the time they needed it most, and yet it did. So much so, that she was compelled to write in and thank them. It was a heart warming story that I was so pleased to have been a part of. 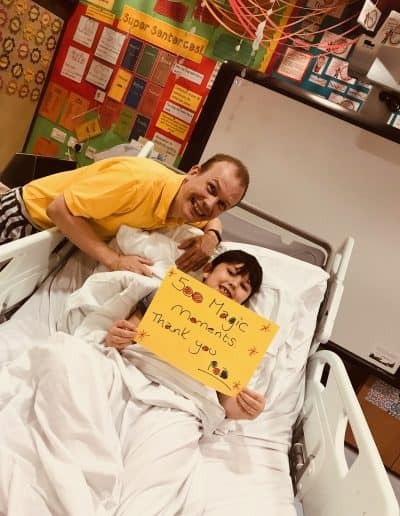 The real magicians are the doctors, nurses, teachers and play specialists that ensure everyone gets the care and attention they need so they can get better and go home to their friends and families, and they perform their own magic every day of the year. I look forward to the next 500 sessions, and the thousands of children I can make a difference to in the future, thanks to POD.